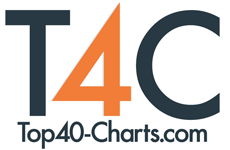 New York, NY (Top40 Charts / Company) Steve Perry's highly-anticipated album Traces, his first in nearly a quarter of a century, is available today via Fantasy Records/Universal Music Canada, the country's leading music company. Co-produced by Perry alongside Thom Flowers, Traces is the legendary singer-songwriter's most honest and vulnerable release to date, chronicling love, loss, and, ultimately, hope. The album features previously released tracks "No More Cryin'", "No Erasin'", and "We're Still Here" as well as a beautifully reimagined cover of The Beatles' "I Need You" (see full track listing below). Perry sat with NPR's All Things Considered earlier this week to discuss his return to music, confiding "My new life…is going to be about recording anything that comes to my heart because I've rediscovered the passion for music and it's something I don't want to let go of ever again." Perry's eagerly-awaited return to music has been celebrated by fans and critics alike, with Entertainment Weekly hailing "the return of one of rock's most beloved voices," Yahoo proclaiming "Perry's long-awaited return to music is a cause for celebration," and Forbes exclaiming "for all of music it is damn good to have the Steve Perry back." Traces has received critical acclaim with USA Today highlighting it as one of "10 Albums You Need To Hear This Fall" and Newsday declaring "The well-crafted, eclectic songs on 'Traces' all make the most of Perry's voice, whether it's the blues-tinged 'No More Cryin'', the Motown-influenced 'Angel Eyes', or the gorgeous ballad 'We Fly'." Ultimate Classic Rock asserts "You want Steve Perry to be Steve Perry, if you were ever a fan. And Traces delivers", and The Associated Press pronounces, "Breaking his long silence in such a memorable way, 'Traces' shows that for Perry returning to music was about much more than keeping his word." This weekend, CBS Sunday Morning will profile Perry's life, taking viewers from Hanford, CA to San Francisco, and exploring the inspirations behind Traces. Perry will appear live on Good Morning America this coming Monday and Fox & Friends on Tuesday in support of the Traces release.